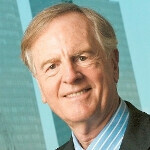 Former Apple CEO John Sculley is throwing his 2 cents into Apple's current position. Sculley says that the company needs to be able to adapt to a new reality of profiting from $100 smartphones. Sculley says that Apple must squeeze as much as possible from its supply chain to bring costs down. At the same time, he said that current Apple CEO Tim Cook is the right man for the job at the right time because of his expertise in the supply chain. Lured to Apple from Pepsi in 1983 by Steve Jobs, Sculley called Apple rival Samsung "an extraordinarily good competitor," and added that "the differentiation between a Samsung Galaxy and an iPhone 5 is not as great as we used to see." The former Apple CEO made his comments while speculation has reignited that Apple is working on a low priced, entry-level version of the Apple iPhone. There should be someone like him in the Apple tree. But wait, a $100 smartphone?? ...that's not worth an 'Apple'...even if it's the most affordable iPhone. /s By the way, which Samsung Galaxy is he comparing to the iPhone 5? Sculley: Apple must learn how to profit from $100 smartphone Says the guy who almost destroyed Apple. There is a reason why Sculley is no longer at Apple. He lead the race to the bottom then and he wants to lead a new race to the bottom now. Maybe he and Forstall can start a company that consults on how not to run a business - just do ANYTHING other than what they recommend. Arrogant Apple is determined not to learn from its mistakes. Poor luck as the share prices continues to fall. As exclusivity is the core of apple products, low pricing will definitely harm the "class" conscious users. I don't understand why Apple "must" do anything different at this point. They are still taking home more profit in the mobile industry than everyone else combined. I don't see what good releasing a cheaper iPhone would do them. Those profits are dropping, the iphone 5 by most indications isn't the seller that the older models were. Businesses that wait to react suffer. Look at RIM. Companies that dint listen to the market and adjust from there do so at their own peril. That said, Sculley is a retard who almost destroyed Apple when he ran it, so his suggestions should be taken with one grain of NaCl. Tim could learn alloy a lot from Google. Like how to advance an OS, rather than release the same product for 7 years. The difference between a samsung galaxy and iphone 5 is GREAT. Apple has a lot to catch up. If there's one thing Apple has learned, its to not listen to this guy that took the #1 (at the time) PC company in the world and nearly bankrupted them to where they had to get Steve Jobs into coming back to clean up his mess. Imagine what things would be like nowadays if Jobs said no LOL.